Collaboration is extremely important for disruption and innovation. Technological advancement has changed workplace collaboration immensely and will continue to do so in the future. Organizations that fail to offer a collaborative environment and do not promote and enable cross-department collaboration will fail to deliver innovative products and services, which means that they will fail to maximize their business value. While collaboration does not automatically guarantee business success, but some of the best performing organizations are also the ones that encourage collaboration the most. Collaboration will become something intrinsic. Businesses will have to develop a company culture that values collaboration – there can’t be effective collaboration without shared values and a shared understanding. Employers and employees have already started to change their mindsets. Increasingly, there will be less of a control and command decision-making process, but more and more organizations will adopt a distributed and collaborative decision-making process. This is a result of the belief you can achieve better results and solutions when the best minds work together. Positive effects of this development includes increased employee satisfaction and engagement. Leadership must make sure to take the lead in this change process so that employees realize the benefits of new technology. Instead of one-size fits all solutions, there will be more customized and personalized collaborative tools that meet every team member’s and department’s individual collaborative needs. While “traditional” collaboration tools such as email and intranet won’t disappear any time soon, new collaboration tools such as social media and video conferencing will gain even more importance. New collaborative tools will focus on enhancing communication and document co-creation. Businesses need to give their workers access to these tools in order to promote collaboration, but also to increase employee happiness (see Deloitte’s Digital Collaboration Study). As more and more businesses are expanding globally, teams will also become more and more dispersed, and employees will demand a work environment that enables them to work from everywhere they want to. New digital collaborative tools allow dispersed project teams to collaborate, often in real-time and face-to-face, without having to be in the same room. The benefit for managers and project managers is the fact that they can harness the potential of diverse skills and experiences of talents - across borders and time zones. Mobile, cloud and social media have converged and enable employees to be connected 24/7. Collaboration will become even more seamless and it’s possible to collaborate instantly from any location. This allows employees to adopt a more flexible work style: they don’t have to be in the office to connect and collaborate with the team and customers. 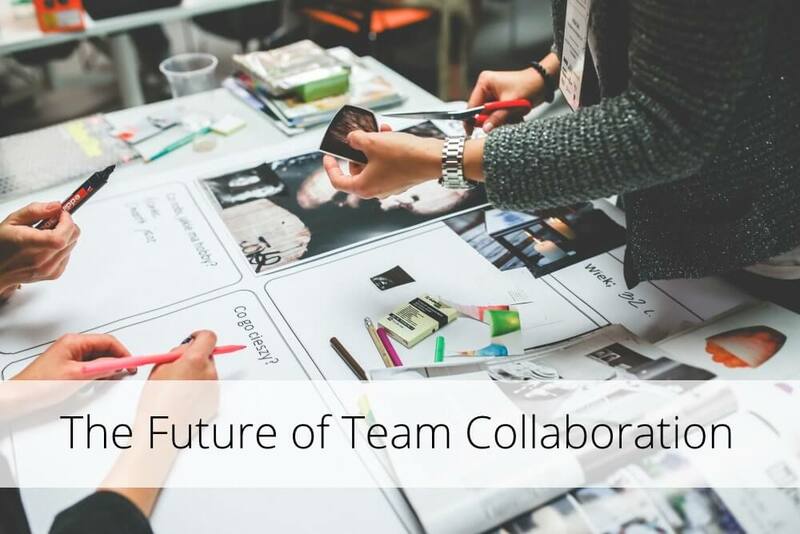 Collaboration will become more efficient than ever. Every interaction and communication is automatically documented and synced across devices. This means that you don’t have to search for the latest updates, but will have that information automatically (e.g. through history or notification features). This will increase the effectiveness of team and customer communication, and as a result increases team engagement and customer relations. Welcome to the New World: The Future of Team Collaboration - InLoox • Copyright 1999-2019 © InLoox, Inc. All rights reserved.